We have a few points of order to help make the Saturday as smooth as possible. We have 7 bars in the Faneuil Hall/Financial District area planned. There are a few other big crawls planned from another group that day. We’re planning to visit places not associated with their schedule but we might run into conflicts. The bar managers have assured me that we will be okay. You will receive the entire schedule when you check in on Saturday. We are not releasing the schedule prior to the crawl, as we want to keep this event as exclusive as possible for your own comfort. Please note, the bars have the right to refuse entry to anyone due to bar capacity or personal incapacity. Also, you will need to show a valid license or ID to gain entry to each of the bars (this is the bars’ policy). This entry was posted in Halloween, Halloween Crawl and tagged bar, bars, boston, halloween, halloween bar crawl, Halloween Boston, Halloween costume, Halloween Crawl, halloween in boston, halloween pub crawl, pub, pub crawl, pub crawl boston, pubcrawl. Only 10 more days to go until the Halloween Crawl. Regular tickets are getting scarce. Get yours before it’s too late. Only limited spots available. Do you have your costume idea yet. It’s National Pasta Day. Get inspired. This entry was posted in Halloween, Halloween Crawl and tagged bar crawl, games, halloween, halloween bar crawl, Halloween Boston, Halloween costume, Halloween Crawl, halloween in boston, halloween pub crawl, pub crawl. Happy Friday. Your koozies and selfie sticks have been delivered. 2 weeks from tomorrow is the Halloween Crawl. We’re looking forward to seeing all of your costumes. 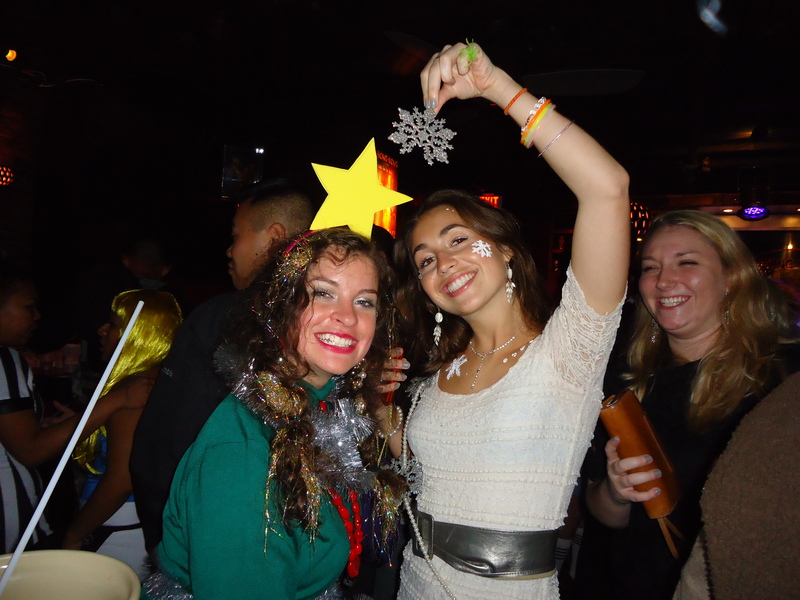 This entry was posted in Halloween, Halloween Crawl and tagged bar crawl, boston, costume, costume crawl, halloween, halloween bar crawl, Halloween Boston, Halloween costume, Halloween Crawl, halloween in boston, halloween pub crawl, pub, pub crawl. Calling all Goblins, Ghosts and Freaks of the night! Creep or float over to the Crawl In Boston Halloween Pub Crawl. It’s a Halloween party that’s sure to be a fright. Come dressed as your best and celebrate the day into night! It’s finally October. Our Halloween Crawl sells out every year so please sign up soon. Registration includes Selfie Stick, Koozie, Temporary Tattoos, Drawstring Bag, Photo booth, Candy and no covers at scheduled bars. This entry was posted in Halloween, Halloween Crawl and tagged bar crawl, boston, halloween, Halloween Boston, Halloween costume, Halloween Crawl, halloween pub crawl, pub crawl. It’s Halloween Crawl week. For our ticketed guests, we’ll be sharing the registration bar here on Wednesday. There will also be an e-mail going out. Don’t have tickets yet? This entry was posted in Halloween, Halloween Crawl and tagged bar crawl, boston, costume, costume crawl, halloween, Halloween Boston, Halloween Crawl, pub crawl. It’s Halloween Crawl week. We still have a handful of wristband only tickets available. It’s getting close to where the number of bars we have the capacity won’t work out. Worked out better contract this year so we will have less people without wristbands able to get in without paying cover. 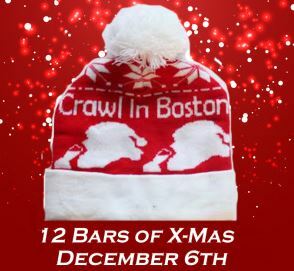 The 12 Bars of X-Mas will be on December 6th. TICKETS NOW ON SALE We’re working on one more big surprise however our vendor isn’t giving us info as quickly as we’d like. This entry was posted in 12 Bars of Christmas, Halloween, Halloween Crawl and tagged 12 Bars of Christmas, 12 Bars of X-Mas, 1980's, bachelor, bachlorette, bar crawl, Beer Fest, boston, Christmas, costume crawl, Halloween Boston, Halloween Crawl. 1.5 weeks to go. Labor Day has past. Students are back. The Neon Light, Bright and Tight Crawl returns on September 13th. 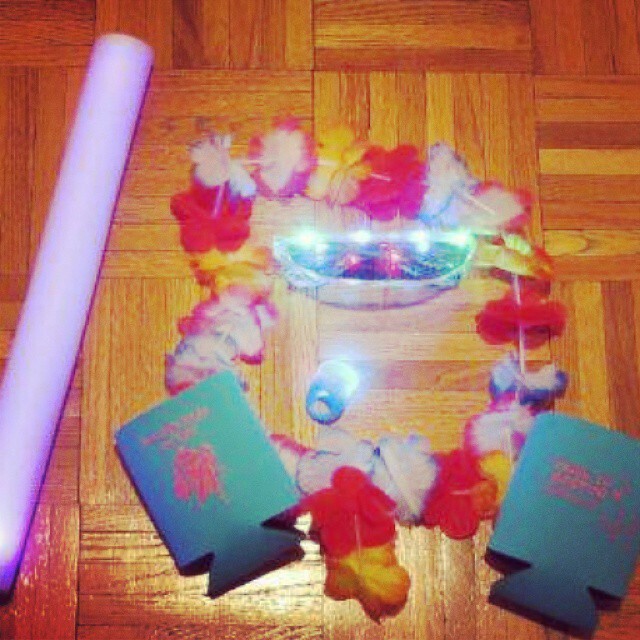 Your ticket will includes drink specials at all the bars, Koozie, Light Up Sunglasses, Foam Baton, Lei and Light Up Jelly Ring. Early bird and regular tickets are now sold out. We’re down to the Last Batch Tickets. Students will be back in town soon. Ticket proceeds also go towards Horizons for Homeless Children. Please consider donating to them even if you don’t attend our event. Check out the 2013 Pictures Here. The Halloween Crawl will be November 1st. It’s our biggest one of the year so we’re still working out the details. We plan to have them for you shortly. Off to Florida! Have an awesome weekend! This entry was posted in Neon and tagged 1980's, bachlorette, bar crawl, Crawl In Boston, day glow, drink, halloween, Halloween Boston, Halloween Crawl, light, party, pub crawl, rainbow.